It’s pretty simple. When you live healthy, you live happy. And that’s why The Waters New Home Community is the perfect place to live well. 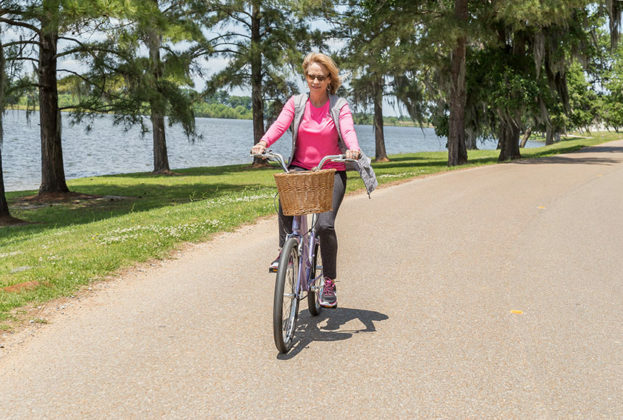 Here, you’ll find numerous ways to promote healthy living, including miles of extra wide sidewalks for walking, and streets for biking. Take a walk around five beautiful miles of lakeshore, take the ultimate challenge and sign up to participate in our annual Triathlon or one of the many 5K and Fun Runs that we host, or just commit to a morning walk to experience the sunrise over Lake Cameron. Reach your aquatic fitness goal with the lap lanes in our two community swimming pools, test your agility on our five lighted tennis courts or just enjoy an afternoon of canoeing, kayaking or paddle boarding. 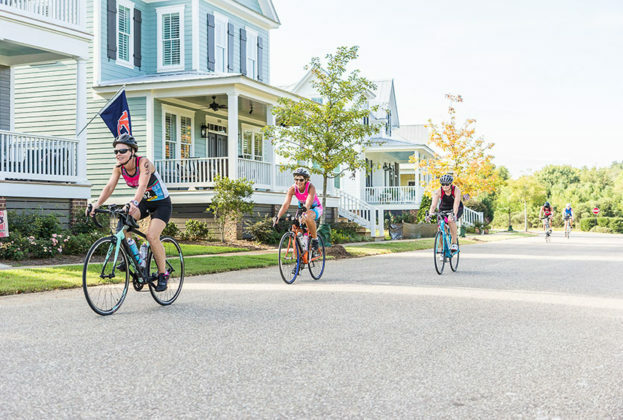 Run, Bike, Swim, Row, Play; the list is endless in this Pike Road Neighborhood.